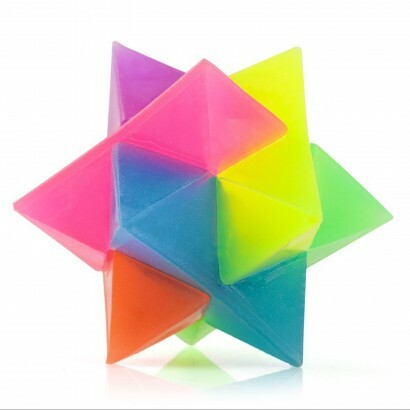 Brightly coloured and with a tactile squidgy body, this prism ball is strangely difficult to put down! Bounce on surfaces and the ball will light up with flashing LEDs introducing another facet to this fun toy that promotes visual stimulation with bright colours and flashing lights and is incredibly tactile. 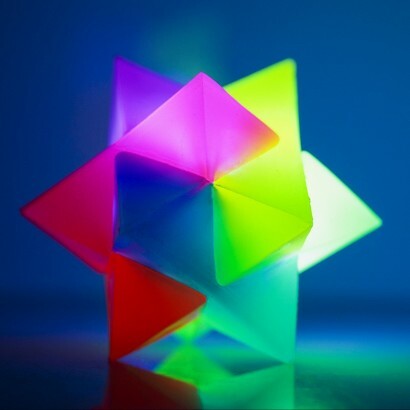 It's unique shape means that this prism ball never has a uniform bounce making play unpredictable and lots of fun!